Govt has again cancelled FCRA licences to Sabrang Trust, ANHAD. Why then did it issue them? The Modi government's crackdown on foreign-funded NGOs continues. After cancelling the FCRA licence of Sabrang Trust - only a day its renewal was reported by the media -the home ministry has revoked the same licence for ANHAD, an NGO active in Gujarat. While Teesta Setalvad, who runs Sabrang Trust, declared that she will move court against the decision, Shabnam Hashmi of ANHAD said, "The scenario is like the demonetisation notices. The government cannot make up its mind about what it wants to do." The home ministry has also put on hold the FCRA clearance for another NGO run by Setalvad, Citizens for Justice and Peace. The CJP must take "prior permission" from the government for receiving any foreign funds. "We had initiated the litigation process, but kept it on the back-burner on legal advice because of the FCRA renewals for both in August. The same will, of course, be revived now," Setalvad told Catch over the phone. "It is the height of absurdity in a country which claims to be a mature democracy." Setalvad suggested that the decision was driven by "vendetta". 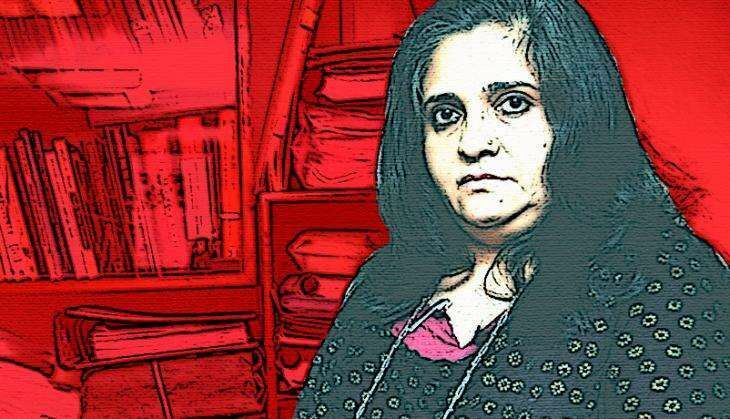 Setalvad said after media reports that FCRA licences to both Sabrang Trust and CJP had been renewed, Javed Anand, her husband who is also involved with the NGOs, checked the home ministry website, only to find an updated order stating that the FCRA licences stood cancelled. Setalvad said she is yet to be contacted by the home ministry directly. Setalvad and Anand are facing a CBI investigation for allegedly embezzling funds of Sabrang Trust, a charge they have forcefully denied. Meanwhile, in its 13 December order, the home ministry claimed that the licence of Sabrang "was renewed inadvertently by the concerned official of the FCRA wing of the Foreigners Division", and that "the proceedings of the case were called for, to examine the case relating to passing of the renewal order and it has been found that it is a fit case for revision of the said order for renewal". The ministry further claimed that Sabrang has violated several provisions of the Foreign Contribution Regulation Act, 2011. Sabrang Trust's FCRA licence was first cancelled in June 2016. In the case of the CJP, the decision to put it on the "prior permission list" was taken in July 2015, as part of a wider crackdown on NGOs that included big names such as the National Endowment for Democracy, Greenpeace India, and Compassion International. Curbs on Compassion International could kick up a diplomatic row between India and the US as the matter has been taken up multiple times by the US authorities, including Secretary of State John Kerry. Setalvad, in a note discussing the matter, said, "Following the inspection of the FCRA accounts of Citizens for Justice and Peace and Sabrang Trust in April 2015, the Home Ministry first alleged that both trusts had committed violations of the FCRA, 2011 and FCR Rules, 2011, and that trustees of both the trusts respond in detail to each of the allegations with facts and figures to point out that each of the allegations had been made arbitrarily and without application of mind and was politically motivated." She claims that the FCRA department dismissed the fact-based detailed responses submitted by them in two words: "not satisfactory". Setalvad wondered why it took the home ministry nearly four months to realise that the licences of her NGOs had been renewed. "It may also be noted that quarterly intimation to the home ministry regarding FCRA receipts during the quarter were also submitted and acknowledged for the period April-June 2016," she stated in her note. After the home ministry first put curbs on the Sabrang Trust and CJP, Setalvad said, both applied online for renewal of registration within the prescribed deadline, and "through the ministry's orders dated 5 August 2016, both CJP and Sabrang Trust received FCRA registration renewal certificates." Interestingly, in the case of the preacher Zakir Naik's NGO too, the FCRA licence had been renewed online. The NGO, Islamic Research Foundation, was recently banned under the Unlawful Activities Prevention Act. Now, the ministry is reportedly looking if its systems were intruded into to grant these permissions. Hashmi, too, questioned why his NGO's licence was renewed in March 2016 only to be revoked now. "Immediately after Modi became the prime minister, ANHAD faced an enquiry from the home ministry in June 2014. Then, in November 2015, the ministry did another enquiry for which four trunksful of material was sent to them," Hashmi recalled, suggesting that neither enquiry had found any violation of rules by the NGO. Also Read: Modi govt crackdown on NGOs: what is driving the repression?